Stretch your brain by adding these books to your summer reading list. Chances are if you’re an entrepreneur, you’ve got an ever-expanding “to-read” list of books. Statistics have shown that the average CEO reads 60 books a year, but that doesn’t mean they aren’t continually looking for new books to add to their libraries. 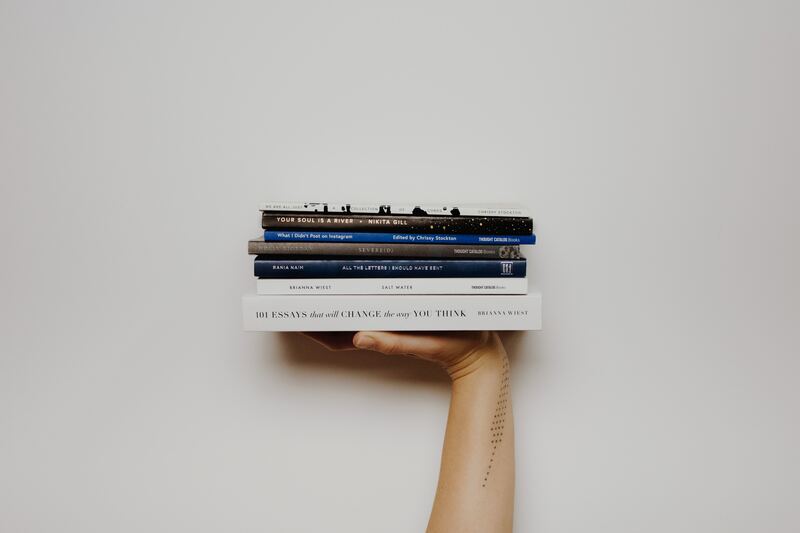 If you’re planning to catch up on your summer reading, don’t forget to take along these solid reads to help stretch your brain and positively grow your business in a new direction. This book is all about ‘reprogramming’ your brain. Yes, you heard that right — just as you can hack into a computer, it’s entirely possible to do the same with your mind. Written by Sir John Hargrave, this book places a focus on the changes one can make in their mind — namely that in 21 days, you can replace negative thoughts, habits, and feelings of anxiety with positive ones. This is done by completing specific exercises that gradually convince your mind you can and will make these changes. As entrepreneurs, it’s important to go through life (and business) with a glass half full attitude and this book can teach you how to reach that level and become conscious of the impact optimism has on your overall sense of self on a daily basis. As children, we are taught that *magic words* are often considered to be “please” and “thank you.” But, what happens once we become adults? Are there certain words we should be saying in order to become successful and how can we make the message resonate with others? Author Phil M. Jones explores how everyday entrepreneurs can perfect the art of communication especially through spoken “magic words” that speak directly to our subconscious brain. These words cut to the chase, giving those who speak them a better advantage in getting their point across quickly, efficiently, and making it count. How have your professional relationships been lately? Do you tend to aggregate Twitter followers and LinkedIn connections, but don’t engage much with them afterwards? It’s time to reevaluate your relationships and author and social skills coach Patrick King is here to help out. Rather than rely on an internet listicle that contains one person’s insight into how to build a rapport with someone, King’s book analyzes over 30 studies for findings that come from psychological, cognitive science, and behavioral economics. Some of these include breaking down why you’re better off not engaging in small talk (along with topics people actually enjoy discussing), how to be likeable without coming across as manipulative, and even the effects of popularity as far back as your high school years. There’s no guarantee that after reading this book you’ll be able to fully understand the motives behind every person you meet, but you will become more socially aware of the people you do talk to or try to form a relationship with. According to Arianna Huffington, the world is actually in the middle of a sleep deprivation crisis. We can’t argue there either — many entrepreneurs are likely looking forward to a summer lull in business so that they can take a few extra breaks or get caught up on their ZZZs. Her book literally tells ‘treps to go to bed by exploring all of the benefits that sleep provides us (such as refocusing on who we are) and the nourishing power that comes with renewing our relationship with sleep.